Deadline hinted first but TheOneRing.net can confirm that Elijah Wood will step in front of Peter Jackson's cameras and return to Middle-earth for a part in 'The Hobbit' and we even know how. Despite how some fans will respond at first, the reasons are organic and natural and shouldn't upset even the most ardent purists. The fictional book, and either the telling from or the reading of, will establish Frodo in the films, leaving viewers to experience the tale of 'The Hobbit' through Bilbo's point of view. Rumors have suggested Wood is "in talks" to appear in the film but that isn't an issue as it very likely the role was discussed with the actor at the scripting phase of the films and he was agreeable to reprise his part then. It is likely but less certain that the same can be said of Orlando Bloom who is rumored (and TORn cannot currently lock-down confirm) to be playing his LOTR Elf character Legolas. The status of other actors' whose characters would have been living during the plot line of the Hobbit, are varied. Cate Blanchett is confirmed as Galadriel while Hugo Weaving's Elrond is a prominently featured character in the source material but not confirmed. Liv Tyler's Arwen could logically be present as could other ancient Elves like Marton Csokas' Celeborn. Frodo's return, makes it possible that Sean Astin could appear as Sam and other Hobbits such as Merry or Pippin can not be ruled out. TORn's information indicates however, that Frodo and the young Bilbo are the primary Hobbit connections between the film series. Dwarves will play a prominent role of course in the new films, and LOTR character Gimli (John Rhys-Davies) is the son Gloin, one of one of Bilbo's companions for the journey of the titular Hobbit. Readers can view our Hobbit cast page to see the status and information on all known characters from the film. Two very obvious absences from any press releases so far are signings of Ian McKellan as Gandalf and Andy Serkis as Gollum. Both actors are believed to be in negotiations and the studio and actors have elected not to conduct talks through the press. Fans including those on TheOneRing.net message boards, are worried about the actors' signings. As soon as I read "Frodo will be in the Hobbit", him reading the book was what popped into my head. On one hand...I'm not a big fan of the idea of basically forcing this story to be seen as a prequel. But on the other hand...I'm excited to see how they'll do this. I think this could be a fun way to connect the two films and show how it all comes full circle. The internet was, of course, getting big when LOTR was filmed... but with everyone carrying phones with cameras, and a much larger audience this time around, the Hobbit leaks will be interesting to see in the coming years! I want The Hobbit to be its own stand-alone, present-tense narrative, not a glorified Lord of the Rings flashback. This is completely unnecessary. Color me disappointed. I think they'll find a way to make it work well. I do agree, though, this makes it firmly a tie-in sequel, not a stand-alone movie. On the whole, I wish this weren't so, but I'll live with it. The movies are the movies and the books are the books. A statement so true it's not worth saying. I can't wait for these movies! With such a rich mythology and all the great juicy info we know about the events surrounding Bilbo's journey with the dwarves it would be a mistake not to use those things to make two great films. Plus I loved the LOTR movies and I can't wait to see some familiar faces! Watching the EE behind the scenes and commentaries I know that I don't always agree with Jackson and co.'s choices but I respect that they are always trying to tell a good story and make sure everything serves the story. So I trust them to use the old characters in clever ways that aren't superfluous. As the filmmakers not having faith in this project being able to stand up on its own. That it needs all these superfluous LoTR tie-ins. That instead of being its own story, it needs to be a LoTR sequel (assuming Frodo is reading the book after the events of LoTR). Does The Hobbit need to be told through Frodo's reading of Bilbo's book? Not in the least bit. Now The Hobbit has to be viewed in the context of The Lord of the Rings, instead of it being the other way around. Remember, from a storyline perspective, The Hobbit doesn't need The Lord of the Rings. The Lord of the Rings needs The Hobbit. Didn't think about this when I originally post, and couldn't edit the original post, hehe. After all, a lot of the 'Hobbit purists' are not advocating simply for the story to be told as true to the text as possible (with all the animal talking and even the talking purse debate there was a couple months ago), but also in the separation of the story from LOTR. Quite a few fans- who can say if they are in the minority, majority, or if it's evenly split- don't want constant references to LOTR; they want 'The Hobbit', not 'LOTR prequel'. And that is a valid opinion to have. Anyways, if all we see is less than a few minutes of each character that can be tied in logically, we'll be lucky. I will be jumping with joy if Legolas is only a captain in The Battle of the Five Armies and doesn't end up killing Smaug. I'll be ecstatic if all we see is Frodo and friends chilling at Bag End while Bilbo is writing the book, a one-time scene only being a few minutes long. 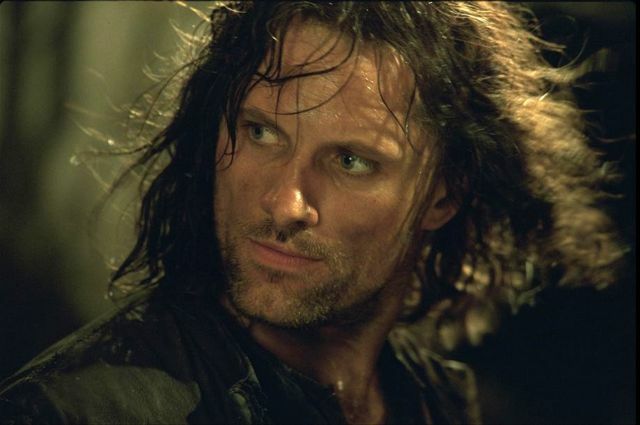 If we hear of, goodness, Viggo Mortensen suddenly being cast, we'll be really lucky if all he is a shadowy figure turning in Gollum to Mirkwood, nothing more. Because of the success of LOTR, its references in The Hobbit were inevitable, IMO. If we're lucky, they'll be well done, not too jarring, fit well with the lore, and, most importantly, short. Now I'd like to hear about the casting of Bard, because hearing about Orlando Bloom's rumored return and nothing about Bard makes me worried about my "Hollywood prediction" above. Because OMG! who wouldn't want Leggy to shoot down the big mean dragon? 1)The Hobbit Part 1 begins with an extreme "Flash-Forward" scene 65 yrs from the beginning of the Story (the beginning of the Red Book, ie "The Hobbit"), featuring Frodo reading from the completed "Red Book" in Bag End? 2) Since this is going to a single scene, Film 2 will begin in Medias Res, just as TTT did, with no Frodo voice-over. 5)Elijah at the end of ROTK finishing the Red Book, visually linking perhaps with the Opening Scene of TH 1. So will we see Elijah in the same costume as he wore in that scene? What time-frame will this be in--set before he completes writing the Red Book (before that scene), so he doesn't yet look ill, etc. (Oh my brain really hurts:). If it's just a single scene linking the Pentology, I don't see the harm in it. 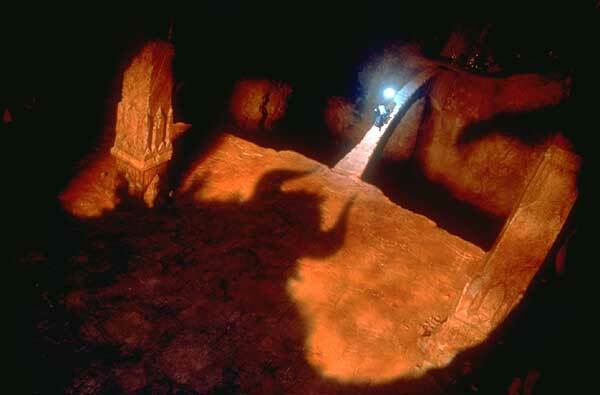 But here's another problem: will Frodo be using the "first-person" ? Will he be standing in for the "I"/"voce of Tolkien" establishing a different tone for TH? Why is this needed in the first place, since the Red Book isn't begun until Bilbo returns? At any rate--should be interesting seeing Elijah again in the hobbit gear. There's a big difference between 18 and almost 30! And--DROGO has ben cast?!? What have I missed? HUH!>! Have they cast Primula then too? Are they going to show THIS? Linkie to sotry and discussion please?! 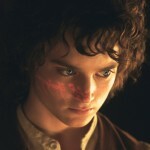 TORn can confirm that as of now, the plans are to feature Frodo in the opening sequence of the films. Does that mean only the opening sequence? If he is the narrator, or we get cutaways, like The Princess Bride (which worked) from story back to narrator, then I'm not a fan of the idea. If there is to be a narrator, it should be Ian Holm and how hard would it have been to bring him back for the opening sequence? It's his story. 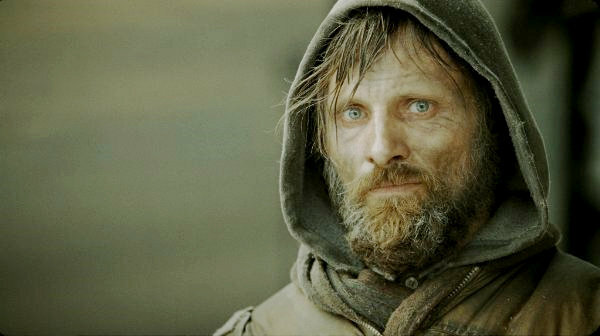 It would also somewhat satisfy those fans that wanted him to play Bilbo for The Hobbit films (I don't agree with this). Middle Earth is New Zealand! We've all heard of studio interference in films. Sometimes it helps films, sometimes it breaks them. LOTR was certainly not devoid of it- the prologue in FOTR exists because of it. I honestly would not be surprised if one of the first questions the guys reading the script asked was, "How many of the original actors can we bring back?" After all, it is Hollywood. While I imagine the filmmakers will have an incredible amount of freedom with this project- the choosing of so many unknowns in their cast, for instance, as we've seen- I can see some appeasement of the suits by bringing back some LOTR characters. The White Council only brings in minor LOTR characters, and certainly none of the Fellowship (other than Gandalf of course). As I mentioned in my other post, we will be lucky if the filmmakers only puts them in smaller parts and does it in a way that fits the lore, fits the overall flow of the story, and remains minor. Some of you may remember in one of the EE extras how a suit at New Line suggested killing off one of the Hobbits for more drama. I can imagine a suit with a similar thought pattern suggesting to scrap Bard and put Legolas in his role instead. After all, they're both archers who happen to come from royalty; no big difference, right? With LOTR's success, there was no way in years that there were not going to be some tie ins, some simply perhaps the guys at the studio want to make more money with the already-proven LOTR brand. Let us hope that these tie-ins are done well and do not detract from the overall story. Let us hope that these tie-ins are done well and do not detract from the overall story. As usual someone says what I am trying to get at, which I never evenmanage to before writing an encyclopedia. And let me add---if gthey were worried about Ian's age, they could have had him read from his half-completed "red Book" in old age makeup in the courtyard in Rivendell! ( "Flash-forward" halfway thrugh the films, so to speak). How can we bde sure this isn;'t just Elijah doing a really good job of selling himself back into this thing via nostalgic Peter? s term for the Saga). . 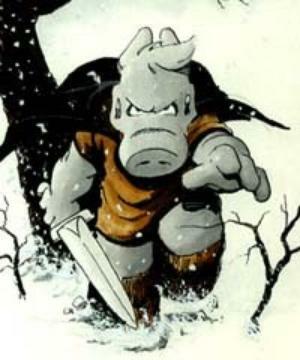 The Hobbit's narrative style, unlike LOTR's, is constantly addressing the reader. The reader is addressed as 'you' several times, and the narrator especially likes to foreshadow, claiming after Bilbo wishes he were home that it would not be the last time he wished it. If they kept this lighthearted narrative style in the films, using Bilbo as the reader and Frodo (plus others?) as the recipients, it would certainly keep the 'Hobbit' feel many here have wished for, only in a way they did not imagine, nor necessarily want. I, for one, have always been part of the 'make the Hobbit fit the LOTR tone a bit more' crowd, so I cannot say how I would feel if this happened to be the case. And, of course, if Bilbo was reading from his book, it would break from the continuity of FOTR EE, where he was just beginning to write it. Though he could be telling this story aloud, and then Frodo could say something like, "You should write this down!" and... there you go. Seamless flow to the beginning of FOTR. At this point of time, so long as Bilbo remains the star and Frodo a bit character, I'm not bothered if this happens to be the case. And the Hobbit itself can be rather dark with the goblins and the spiders and the dragon... even while Bilbo is telling the story. To Frodo. So, this doesn't have to be all bad- I don't think we'll have Frodo as a 15th member of the company or anything like that. As much as Martin Freeman looks like a young version of Ian Holmes, I reckon it would be a fun way if Ian is reading the red book to Frodo and says: "I was sitting on the grass outside smoking a pipe full of old toby, when... "
fade to MF meeting Ian McKellan as young Bilbo. Problem: doesn't Bilbo write the Hobbit when he is at Rivendell? I also want to keep an open mind... but this one is definitely puzzling. It was written quickly but I should know that something will upset anybody. I suppose it was my personal bias shinning through. I should edit it actually, but it wouldn't change the message board version anyway. but I always find when the author addresses his/her readers it takes you out of the story. In some context I guess it's warranted. The thing is I've never looked at The Hobbit as being just a children's book (not saying you are). It's a story that matures as it progresses. The Princess Bride came to mind because it the extraction from the story to readers works. I guess that could work for The Hobbit but Sunflower brought up some interesting and valid plot holes that would be a huge stumbling block for people that value continuity. You do realize that would be completely impossible, right? And technically Gandalf could already be considered the 15th member anyway. In the Princess Bride there is less and less narration as it goes on, so maybe that would work in the Hobbit?? TH, who's feeling a bit eeeeee about all this. After the casting of Freeman as Bilbo I've noticed that not many are talking about Ian Holm. But this changes everything. What is the point of Frodo? The only way that makes any sense (to me) is when Bilbo (old version) is reading to Frodo from the Book. Ofcourse that would raise some questions.. As said; the first scene of LotR would be some kind of flashback..
Ofcourse it is possible that Bilbo isn't reading the book, but is just narrating the story to Frodo (and maybe some other hobbits ), The scene in FotR would me a nice little nod to this; Bilbo is always telling his grand adventure, he is proud of it. I don't know what the rumour is. That Elijah Wood will return/has been cast/is in negotiations? Or that he/Frodo is in the script? Has some part of the script been leaked?